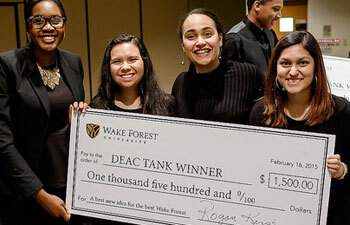 With a five-minute time limit, $1,500 on the line and four judges ready to ask tough questions, junior Tai Hensley and her team entered the Deac Tank to pitch their proposal for using art to connect people across campus. “The Big Tent project aims at giving groups the chance to represent themselves in hope of inspiring an inclusive campus climate,” Hensley said as she described the plan to set up a tent on campus and host an event to showcase painting, poetry and other artistic expressions of identity. 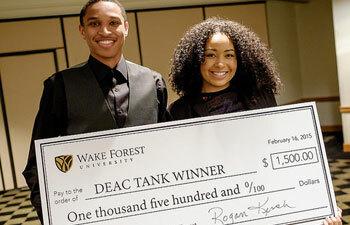 Taking its cue from a popular television show focused on entrepreneurs seeking capital funding, a campus-wide competition gave student teams the chance to seek funding for the best ideas to foster a diverse and inclusive learning environment at Wake Forest. Four more teams stepped into the spotlight to make the case for their ideas. To reach this point, the teams had created 90-second videos pitching their ideas, survived questioning by a first-round panel of judges, and honed their final presentations to Wake Forest administrators. They were prepared with PowerPoint slides, project details, strategies for implementation and proposed budgets. Judges pressed for details about how each proposal would work and asked questions about sustainability, outreach and impact. Sophomores Bradley Singleton and Sydni Williams shared their proposal to produce a series of YouTube videos showcasing students from all backgrounds. 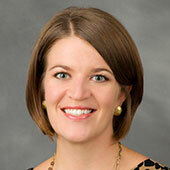 “We want that grassroots feel, that man-on-the-street perspective,” Singleton said. 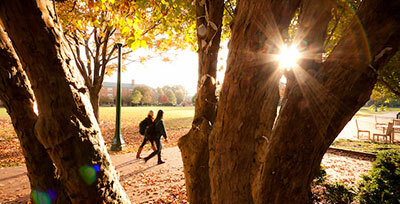 Their sample video included an interview with student rapper Dean Chatham. A five-member team presented a plan for an on-campus space where individuals and groups could gather for conversation and engagement around social justice issues. 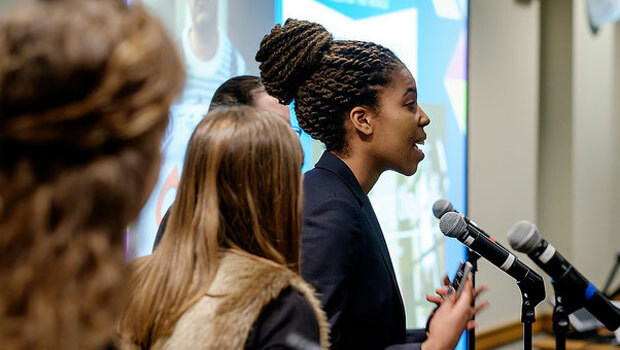 Other teams shared their ideas for capturing first-person stories of diverse people within the Wake Forest community and connecting people across campus with a new shuttle service. 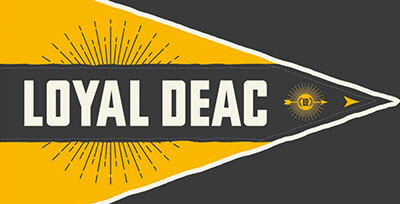 “The Big Tent: Transforming Race Project” and “The DeaConnection ft Pinky and the Brad” were selected for funding. 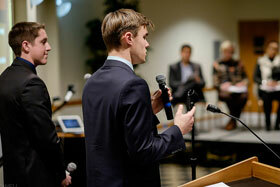 Each team was awarded $1,500 to implement their proposals this semester. The judges also offered faculty and administrative mentoring and support for the remaining teams to explore ways their proposals could potentially be put into action. 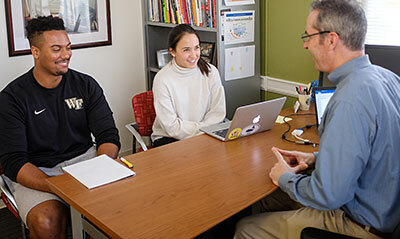 Proposals were judged on innovation, strategy for implementation, connection to the University’s Pro Humanitate motto, and broad campus impact across identity and group affiliation. The other judges were Barbee Oakes, assistant provost for diversity; Lynn Sutton, vice provost and Jose Villalba, associate dean for faculty recruitment, diversity and inclusion. Melissa Harris-Perry, director of the Pro Humanitate Institute and professor of politics and international affairs, was the emcee for the event. The competition was organized through Wake Forest’s Anna Julia Cooper Center in coordination with the Office of Diversity and Inclusion and the Pro Humanitate Institute. 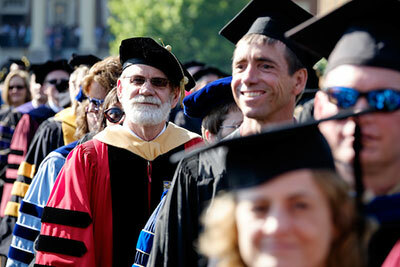 Funding for the winners was provided by the Office of the Provost.